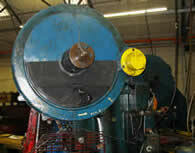 Power presses are commonly used in most metal industries. 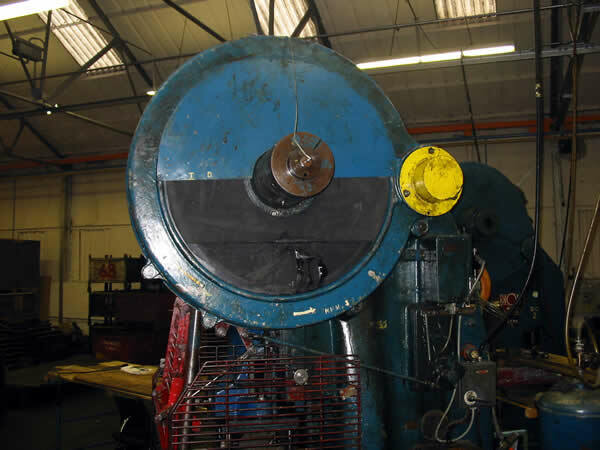 Noise from the flywheel is frequently a significant source of noise and in the company in question a press produced 88dB at the operator’s position. 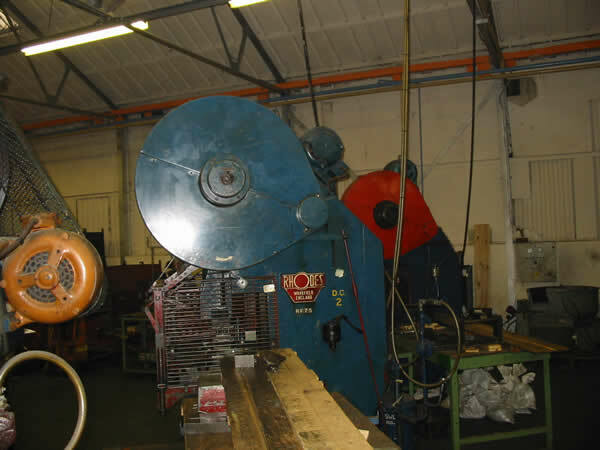 A soft compressible sheet of rubber was glued to the flywheel of the press. This can be seen in the right hand photograph in which the bottom section of the guarding has been removed. In addition rubber was also glued to the inside face of the guarding to inhibit its ability to behave like a loudspeaker cone. The noise levels were reduced by 2dB to 86dB. £200 per press (2005 rates).